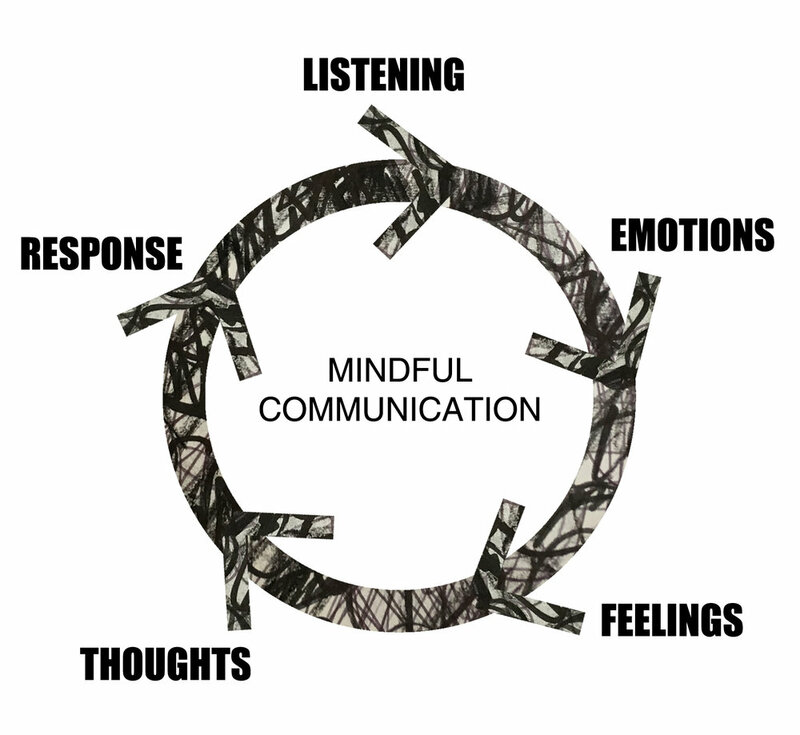 Last week saw the fourth and final Mindful Communication workshop with the current Digify cohort. Digify is a talent spotting and hot-housing digital skills incubator created by Livity, supported as part of Sadiq Khan’s Digital Talent Programme and partnering with creative brands. It offers two months paid training, based upon the principles of a real agency, with real briefs, followed by a six month placement at Sky. This is the fifth cohort of talented and creative young people that have taken part in the programme and the second that I have had the pleasure of working with. It has been fantastic to work with Livity and share a recognition of the importance of Mindful Communication skills, and the positive benefits to both professional development and personal wellbeing that they can bring. Running this workshop series for a second time with a group has really reaffirmed my motivation for working with mindful communication practices and with groups. The power of a group is to be able to provide each other with the basic needs of being seen, listened to and heard. It can be a powerful experience to witness through creative model building and hear through storytelling, the similarities we share, and the greater understanding we can reach through connecting at a place of meaning and values. Change starts with the self, and we can do much exploratory, personal development work ourselves, but as with everything in life, we can only do so much alone. With each other, we can find courage to share from a place of vulnerability, knowing we are safe in a non-judgemental, compassionate space. The way we choose to communicate with ourselves, other people and the world around us directly influences the quality of our relationships, and as studies have shown, the quality of our relationships directly effects the quality of our lives. We often take our communication ‘skills’ for granted, but there are many layers of communication, from the energetic, non-verbal, visual, felt and spoken. When we begin to see communication as a practice, with skills that we can develop, explore and have fun with, it can dramatically change the way we relate. Perhaps one of the most significant learnings for this group was the introduction to ‘feelings’ and ‘needs’ in a nonviolent communication practice. To being able to recognise the full range of emotion that we are capable of feeling and understand that they are each an expression of a met or unmet need can provide both responsibility for our emotions and a language that can help understand our thoughts and responses in a more empowering way.